In Dog Breed Corner this month is the Boxer! 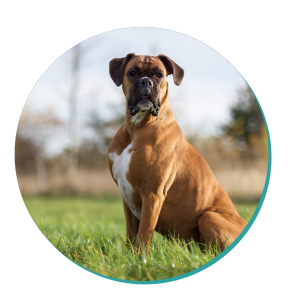 Check out the Boxer’s origins, personality, trainability, grooming needs and more! The Boxer’s ancestors were a Bulldog and a German breed called the German Bullenbeisse. Sadly, Boxers were used for bull baiting in the early 19th Century but later went on to work alongside humans to guard and control cattle. The origin of their name remains a mystery; some say they earned their “Boxer” title from the way the breed tends to greet each other, standing on hind legs with front legs flailing. Others suggest the name comes from their early origins as fighting dogs. Wherever their name comes from, we think they’re adorable! Boxers have infectious personalities. Speak to a Boxer owner and they’ll likely tell you that they’ll never own another breed again; once a Boxer owner, always a Boxer owner. They are a high energy breed who don’t slow down as they get older and love to romp around freely in the open. Boxers love busy households and are patient with children, not to mention always up for a play session! Although they are intelligent, the Boxer can be difficult to train due to their exuberant nature and will need some strong leadership and consistent training. This gorgeous breed is loyal, affectionate and is a great fit for families and active owners. 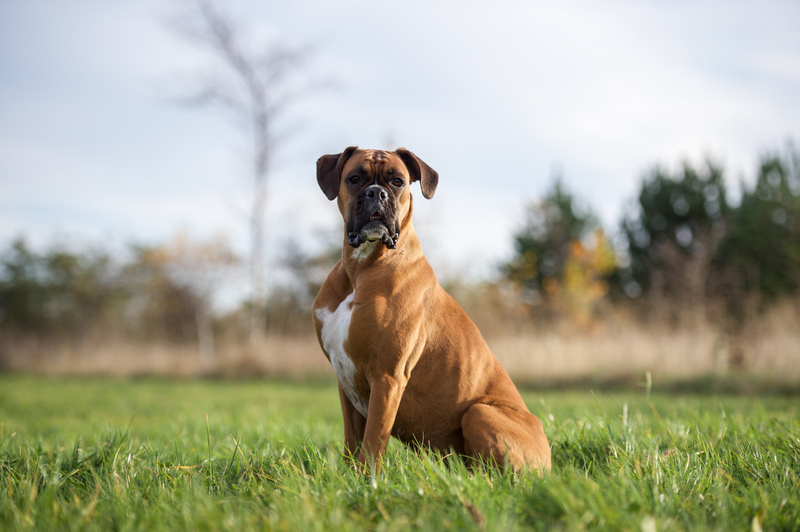 Boxers are best suited to a home with a large outdoor area to burn off energy. However, they can be happy in an apartment with plenty of exercise and stimulation. Without sufficient exercise and mental stimulation, your Boxer can quickly become bored and destructive, finding ways to make its own fun. Boxers do not cope well with extreme temperatures; their short noses make it difficult to regulate their temperature in hot weather and their short coat means they are not suited to the cold. For that reason, Boxers are not well suited to living outdoors. Boxers’ coats are short and require minimal grooming. Weekly brushing with a rubber grooming mitt will reduce shedding, but the breed will still leave hairs on furniture and clothes. The world record for the longest tongue on a dog is 43 cm and belonged to a Boxer named Brandy from Michigan, USA!